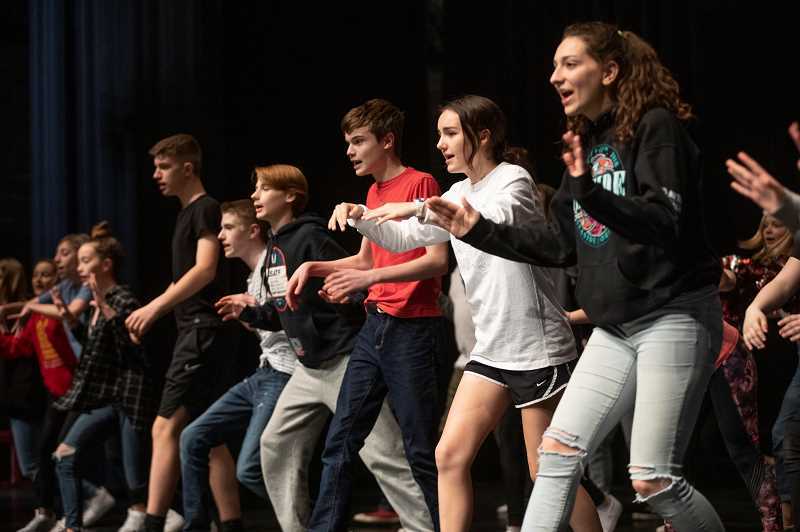 Two casts, each consisting of 60 West Linn-Wilsonville middle school students, will experience high school Disney style during their April performance of the popular 2006 Disney film, "High School Musical." The hit show that first aired on TV narrows in on the clash of teenage social cliques and the importance of remaining true to yourself. The two main characters, Troy Bolton and Gabriella Montez, who come from very different worlds, collide and encounter many challenges when they audition for the school musical. 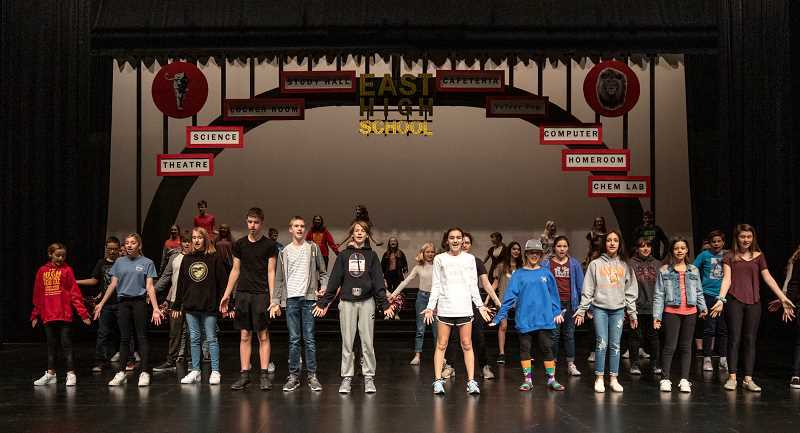 done in the past is that this is a very authentic musical for these kids to be doing," said middle school Musical Director Julie Lane, adding that although the characters are over the top, the musical depicts teens in their natural environment. "I think it's relatable for our middle school cast members and our high school tech members," Lane said. 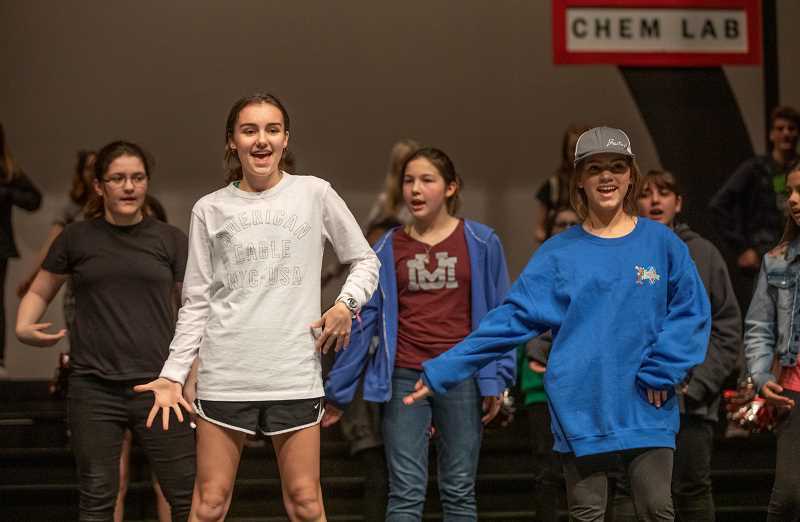 That's exactly why Inza R. Wood Middle School eighth grader Emilie Miller — who's playing Taylor McKessie, Gabriella's best friend — says she can be herself on stage: she fits her character role perfectly. "I like that we're kind of the same," she said, adding that her character is outgoing and a perfectionist, similar to Miller. Miller said she appreciates the musical's message: that teens should be themselves and not stick to the status quo, while acknowledging that it takes time for people to realize that. And there's no forgetting the catchy tunes that originated from the well-known soundtrack that will have the audience grooving right alongside the ensemble. Miller said she has not been able to shake the songs. "I'm singing them all day long, annoying everyone around me," she said. fun. It's got great dance numbers." While rehearsals have progressed successfully, Lane said there are always challenges rehearsing with a double cast. "The most challenging issue is that whatever we do with one cast, we have to do with the other," she said. 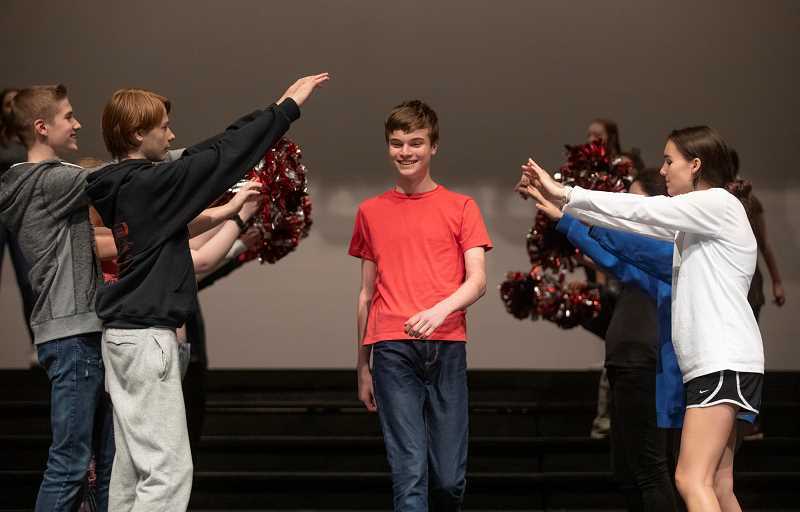 The hardest part for Rosemont Ridge seventh grader Ian Krubel — who's playing Troy Bolton, high school basketball star — has been memorizing the lyrics and being on cue for certain songs, though he says that hurdle won't stop him. Krubel is looking forward to the "Get'cha Head in the Game" musical number because he gets to pass the basketball on stage. ing his school's status quo, Krubel considers himself an actor. Aside from taking pride in the young actors, Lane wants to credit the amount of parents, students and alumni who have volunteered their support. "It's my fifth year as director and I'm seeing this wonderful 'It takes a village' kind of mentality," she said, adding that the set, though minimalistic, is amazing. There's a massive LED-lit arch that students and volunteers built that indicates where the action is taking place during the musical. To see when each cast performs and to purchase tickets, visit www.tix.com/search.aspx.